The birds get fed and fresh water. Dexter is an eating machine. He is constantly stealing food off Anthony's plate. 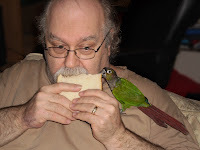 Sometimes, he does not even need a plate. 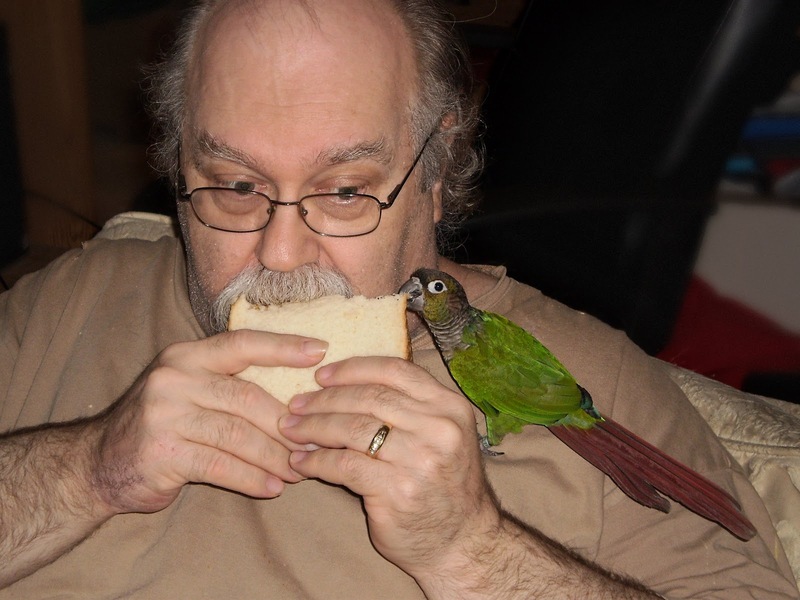 Here you see him taking some of Anthony's sandwich. 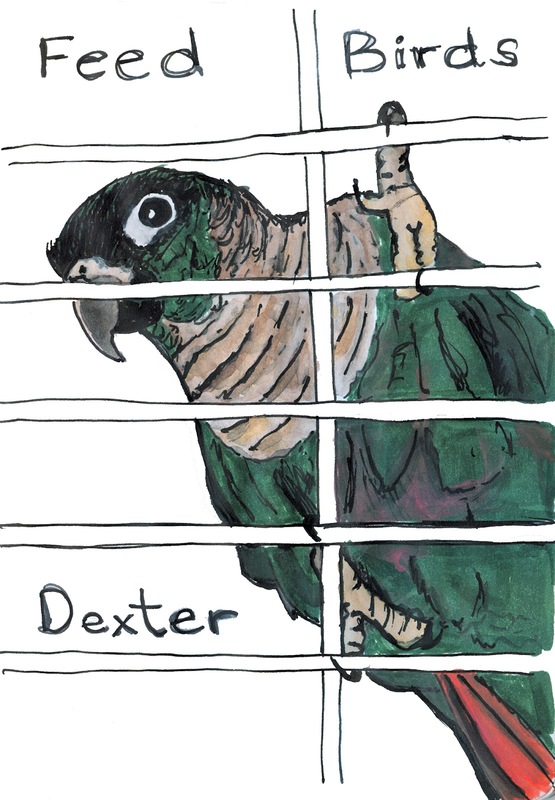 One day he Dexter grabbed a cracker off a plate and was happily walking away with it. It made me think of an ant carrying something bigger than its body. He looked so funny and cute.